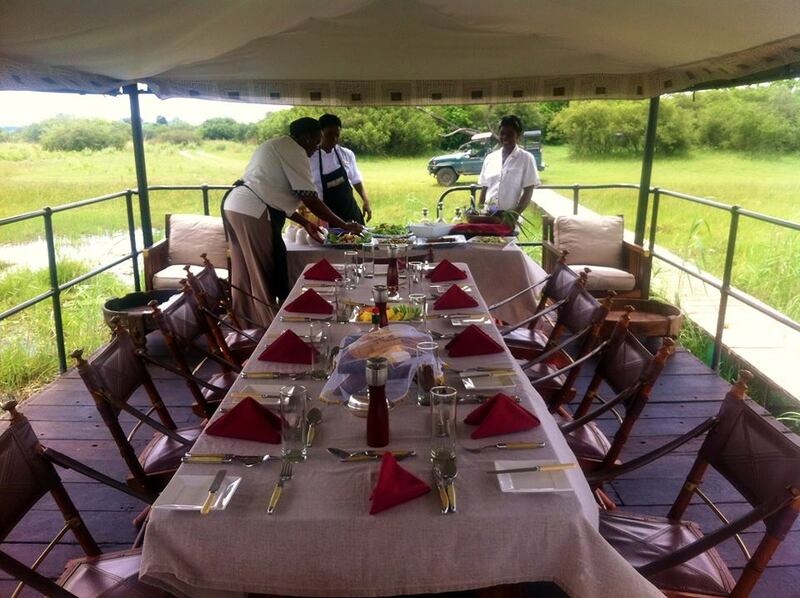 What do termite mounds, elephants, river rafts and the Milky Way have to do with unforgettable food experiences? While most people visiting Botswana expect to experience diverse wildlife & lush landscapes, what they don’t often expect is a world-class culinary experience. We all know how kids are… they love adventure and are busy exploring things all day long…until it comes to their palates. Once lunchtime arrives, there goes any spirit of discovery. But Seba Camp, deep in the magnificent Okavango Delta satisfies even the fussiest of eaters with their magnificent homemade pizza. At Seba Camp, just as the kids think their morning game drive is wrapping up, they’ll find themselves pulling up to a beautiful spot next to the water, where a stunning surprise bush picnic awaits with soft blankets and pillows for lounging, as well as a play area for the kids. And what piece-de-resistance awaits your adolescent explorers? 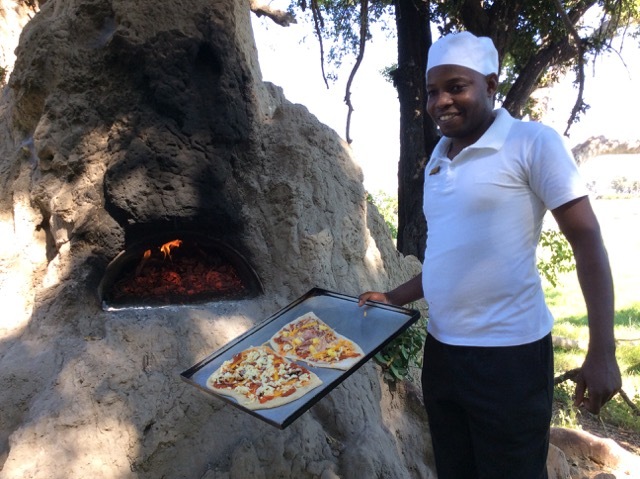 A termite mound transformed into a pizza oven! Kids have the opportunity to prepare their own pizzas with the help of a professional cook and an array of toppings (healthy is well disguised!). 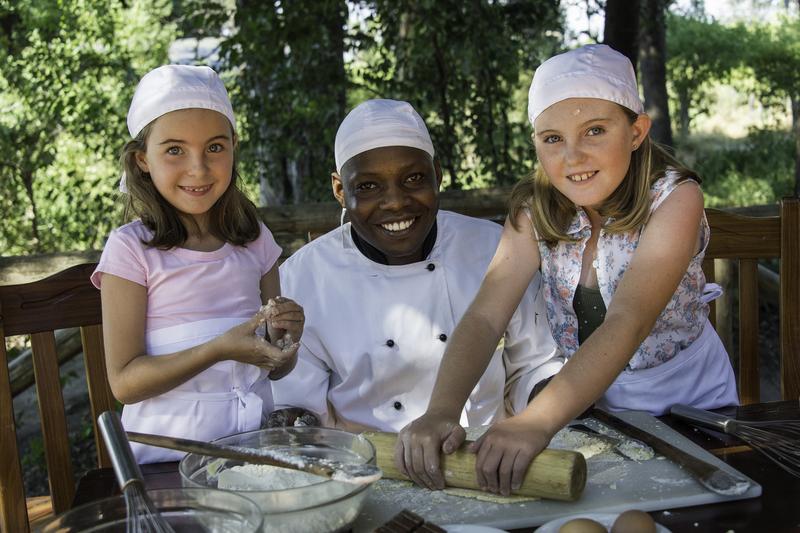 While pizzas bake in the termite mound oven, kids have time to play, giving parents a chance to close their eyes for a moment, or lazily watch elephants cross the river in the distance. Once the pizzas are wolfed down, the slow cruise back to camp by boat begins. Many people know the adventures of Huckleberry Finn who, together with a good friend, escaped the confines of daily life to raft down the Mississippi River. Fewer people know they can recreate the experience over a glass of wine and dinner for two while floating out into a star-lit lagoon from Xugana Island Lodge in the Okavango Delta. Xugana Island Lodge appears to float above the waters of the Okavango Delta, surrounded by a papyrus-fringed oxbow lagoon. As the sunset fades and the tinkle of bell frogs begins, visitors can leave their island hide-away by pontoon, puttering out into the open water with nothing but the far-off snorting of hippos for company, far from the civilised world. Once dessert is polished off, set a slow course back to camp, pulling into a jetty lined with hurricane lanterns to show you the way home. In her music video Wildest Dreams, Taylor Swift provides a small glimpse of the Makgadikgadi’s breath-taking landscapes. Endless white saltpans surrounded by yellow grasslands dominate the area. In the evenings, as the sun sinks below the horizon, a curtain of brilliantly bright stars drops to the ground in all directions, creating the perfect backdrop for a night out in the nothingness. 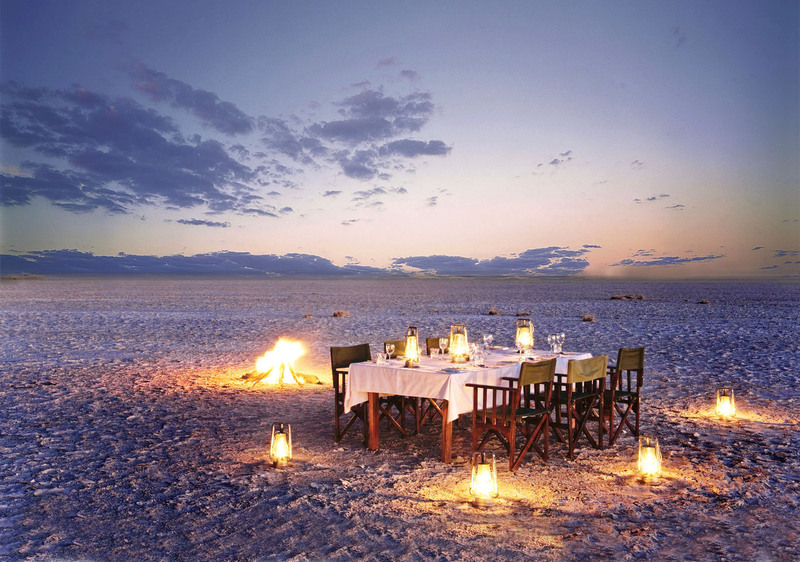 At Camp Kalahari, open-air dining with a heavy dose of old-fashioned safari romance is the order of the day. Take a quad bike from camp and drive out towards the empty horizons, where the only objects to ever appear in the distance are the sun and the moon. While night descends, a twinkling of far-off light appears to be a new constellation at first, eventually revealing itself to be a lantern-filled dinner table, covered in fine china and gourmet food. Elephants are one of the most fascinating creatures on our planet. Looming grey giants, they parade across the African savannah, completing the picture of a perfect wilderness. 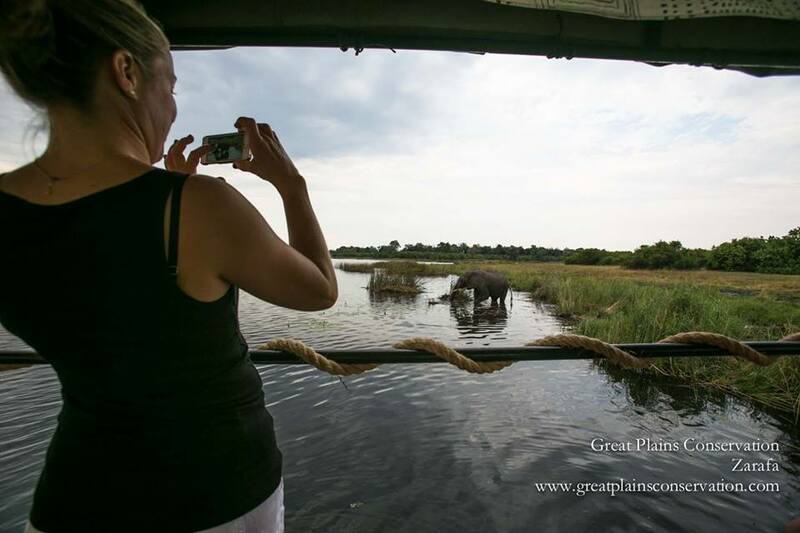 Usually, getting close enough to really appreciate an elephant’s size isn’t possible – unless you’re visiting Stanley’s or Baines’ camp in the Okavango Delta. 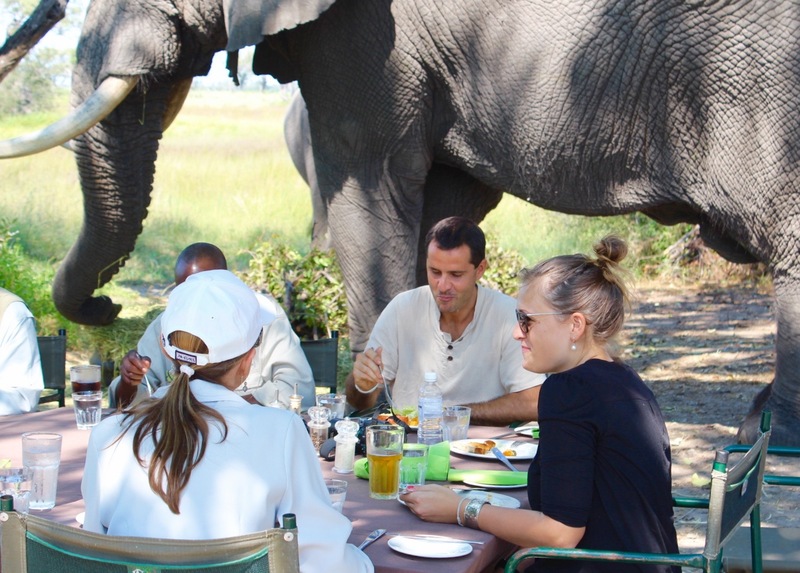 Go walking through the bush with the elephants at Stanley’s or Baines’ Camp and be escorted by wrinkly-skinned hosts to a fantastic sit-down brunch, literally in the middle of nowhere. 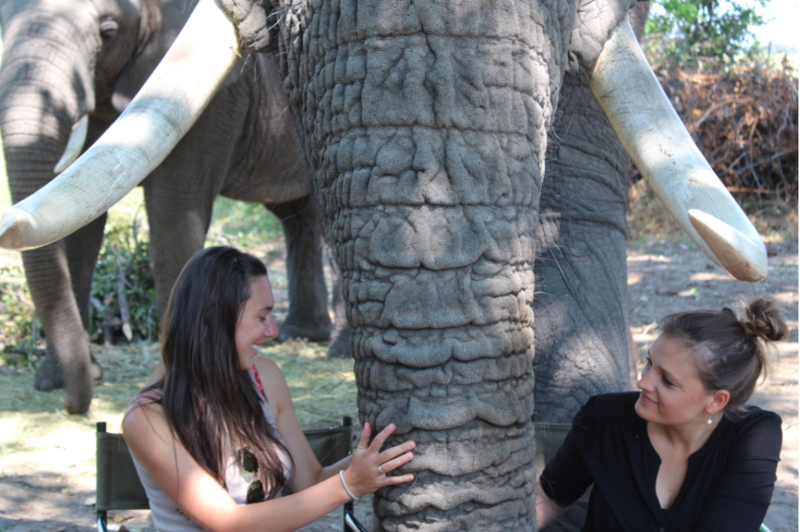 Walking with the elephants through the bush and talking to their guides allows you to understand elephants, and their behaviour, providing a real connection with nature. You’ll sit down to eat, passing bread and butter along the table under the shade of your elephant hosts’ umbrella-sized ears. Alice in Wonderland has nothing on this tea party! Whatever waterway you see in the Linyanti, you can be guaranteed that the Zibadianja Lagoon has something to do with it. When water levels are good, this lagoon becomes more of a lake. 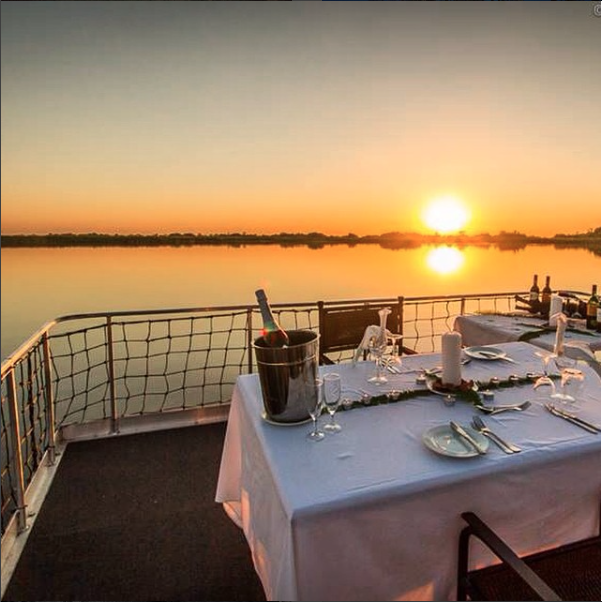 And when bellies are empty, the best way to explore it is on board Zarafa Camp’s luxurious barge, over the course of a decadent lunch. The Zibadianja provides an intersection for many of Northern Botswana’s waterways. Here, the Kwando River hits a fault-line, skimming the top of the lagoon before it changes its name to the Linyanti and makes a break for the Chobe. To the west, the Selinda Spillway reaches up from the Okavango Delta, connecting it to the lagoon in years of good rain. When the lagoon is full enough, it drains water south, feeding the Savuti Channel and eventually spilling out into the elephant-littered grasslands of the Savute Marsh. Fully equipped with both lounge and dining area, the HMS Zib cruises the lagoon as elephants play in the shallows, birdlife skims the water, and guests enjoy the culinary delights of more-than-capable chefs. Top it all off with a cold glass of chenin blanc and you’re guaranteed an afternoon not easily forgotten. Leonardo da Vinci once said, “Water is the driving force of all nature”. At Pelo Camp, this is truer than ever, as guests merge with the unspoilt nature of Botswana’s biggest UNESCO world heritage site during a bush brunch with a difference. 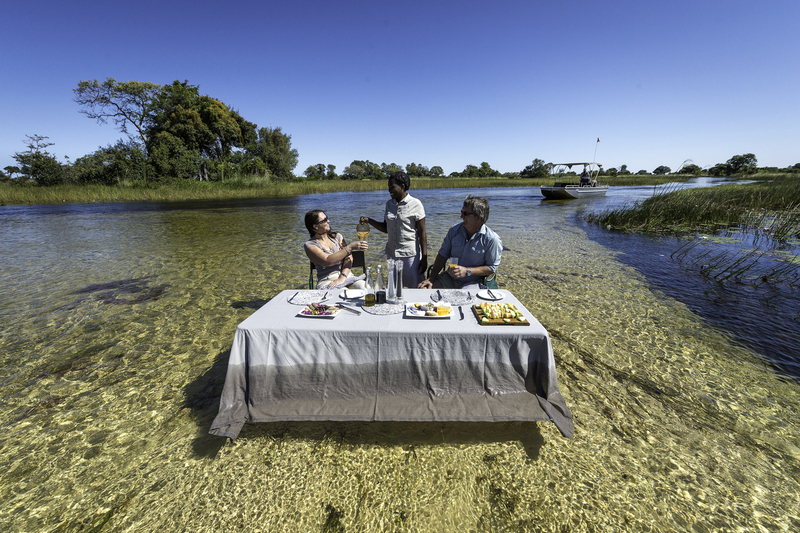 Heading out from camp by boat or mokoro, guests will find themselves perched on tables and chairs in the shallow floodplains of the Okavango Delta, atop bright, white sandbanks for a wet, but refreshing brunch. Guests squish their feet into the clean, cool waters of the delta under their chairs, whilst savouring culinary delights in one of the most unique places on earth, surrounded by 360 degree views of palm tree dotted islands and open floodplains. After brunch, a refreshing swim in the shallows of the Okavango Delta is on offer before a leisurely return to camp.